Another piece in this ongoing series of stylized portraits of my favorite artists. 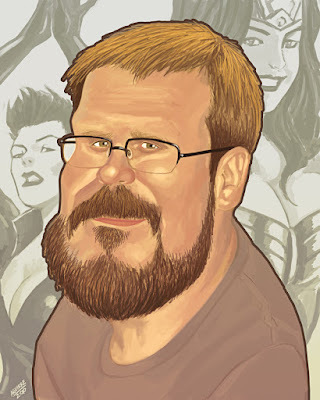 This is Adam Hughes. He is an awesome comic book artist that draws the most amazing female illustrations. Check out his work at justsayah.com. Hope you like it.